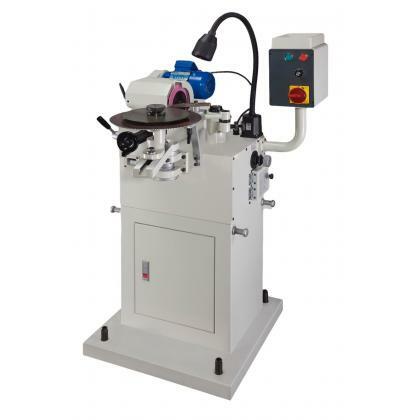 • A new generation design based on years practical experience and therefore create one profes-sional class friction saw blade sharpening machine. • The patented vertical grinding direction allows you to operate it easy. 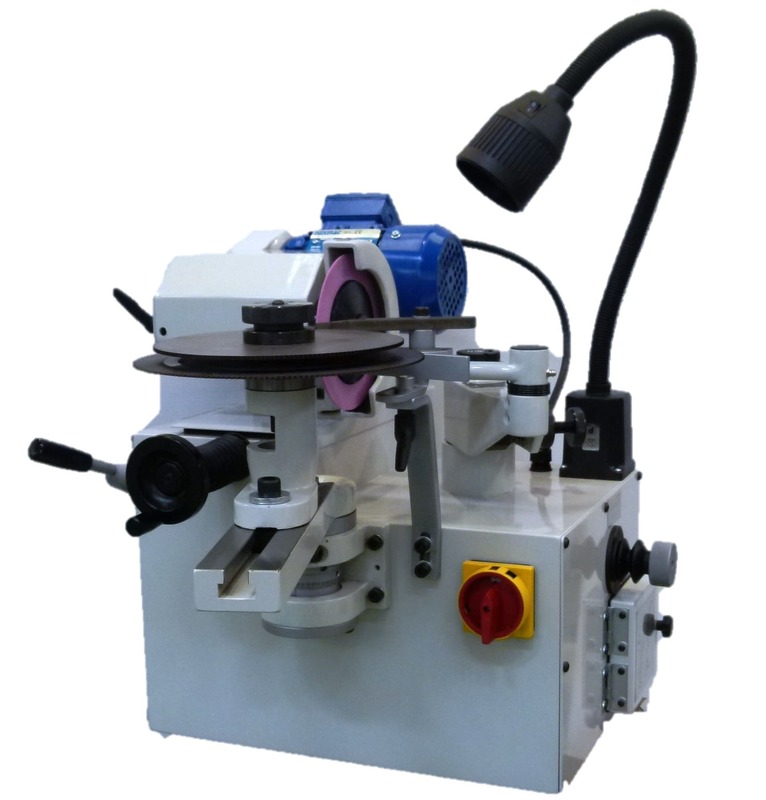 • Brand new deign: The vertical type friction saw blade sharpening machine is made with the thinking of operator as top priority. All adjustment levers have been property arranged, which allows operator to adjust rather easily cutting angle, back dearance angle, teeth depth and pitch of saw blade. Therefore, grinding sharp saw blade became quick and precise. • Saw blade thickness is clamped by two synchronic movement mechanisms at the same time . It can help the saw blade in the center position. Therefore, no need to adjust manually the thickness of saw blade. Besides, as saw blade is clamped well , the grinding noise can be lowered. 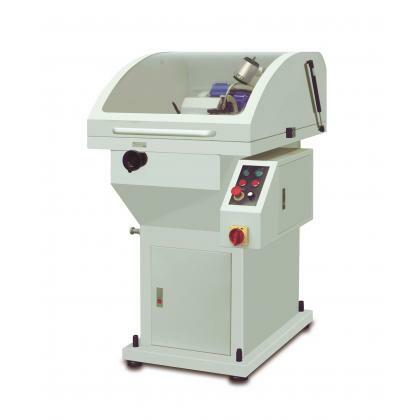 • The machine equipped with inverter which can control the speed of grinding. • The grinding speed can be adjusted with the change of teeth pitch. • Industrial class specialized tooth-profile cam was designed by high accurate calculation & simulation computer system. This makes your saw blade grinding done even more simply, quickly,and accurately. • Grinding wheel head can swing up and down. Chamfer can be done without any need to changegrinding wheel then. • Carbide tungsten is welded onto the end part of pushing jaw, which can reduce the wearing of feeding jaw to minimal possible extent and can reach accurate feeding. • All cast iron of this machine utilizes nodular cast iron (FCD-45) . And they have been temper-treated to ensure the accuracy and enhance wear resistance. • Main parts all utilize SKD 11 high carbide steel and have been through grinding and heat treatment. • The spring for push arm is what has been reformed.With rotary spring, it won't get elastic fatigue easily (elasticity won't give in so easily). This can ensure the accuracy of feeding. • Prop stand for feeding shaft of saw blade: Use high strength copper alloy as basic material with high-tech made solid lubricant added inside. It got features of high loading capacity and wearing resistance even without any need to apply lubricant additionally. • Feeding shaft use Φ3Omm; enlarge axle center and heat treatment and grinding.